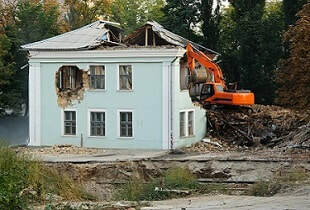 ​​​If you're looking for superior exterior/ interior demolition and excavation contracting services, get in touch with us. Wrecking havoc - It's what we do. Demolition Company Toronto represents quality work and great service. We are sticklers for getting the job done perfectly for our clients; we aim to establish a quality business relationship that can last; we are committed to being one of the very best demolition companies in Mississauga, Toronto and in Southern Ontario. 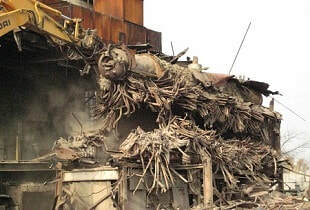 Our clients need to feel confident in any major service work and demolition is no exception, especially knowing we can be dealing with structures, asbestos and other hazardous materials and any number of other issues important to a safe and exacting building demolition, or excavation. 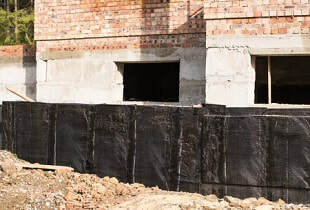 ​Please take a bit of time to peruse our site and get acquainted with about asbestos removal﻿, outdated swimming pools, the potential worth to you of demolished materials, partial demolition and other fun stuff. Residential and commercial demolition presents itself in a variety of ways, from building leveling projects to interior office demolition right up to large industrial facilities that need to have their interiors removed or taken right down for new building developments. 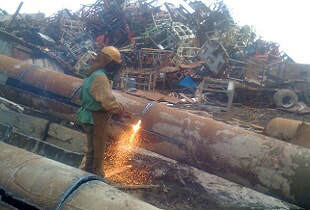 No job is too small or too large, we like wrecking things. We also tackle waterproofing and foundation sealing as well as older buildings that may contain asbestos. 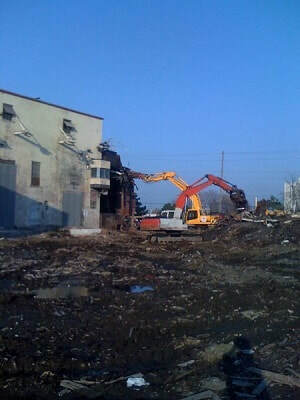 As professional technicians in most things regarding demolition in Toronto, our demolition company will consistently operate and maintain outstanding working relationships with all Municipal, City, Region and Provincial departments; this encourages expeditious, accurate solutions when procuring necessary authorizations and licenses for the required work. We also ensure our customers the utmost attention with regard to Eco-friendly concerns; always to the correct environmental solutions. We also maintain relationships with ecological specialists in the event that cleanup may be necessary in the project area. A strong record of jobs completed on time and on budget is essential to being taken seriously and lasting in the demolition business. So whether you need partial demolition or you're renovating your restaurant or home, evaluating the project for best solutions is second nature to us. Our first and foremost building demolition priority is safety. Gas pipes, hydro lines, electrical wires and asbestos are usually hazards we can run into on the job; you should, must trust your demolition company to deal with all safety before any demolition work begins. After studying local regulations, we work hard to exceed customer expectations by providing carefully planned solutions to complex structure demolition and interior demo requirements. Asset recovery, recycling and material removal are major parts of our planning on your behalf. Put our training and expertise to work for you. We are concerned about environmental issues; safe and successful demo requires a professional plan that includes complete recycling, removal, clean-up of all debris and re-use. We supply proper assessments for our hazardous material removals and ensure all health concerns have been addressed before starting. Our staff has been thoroughly trained to handle virtually every on-site safety matter that may arise. Safety is a very serious matter for us; front and center of all planning and execution. 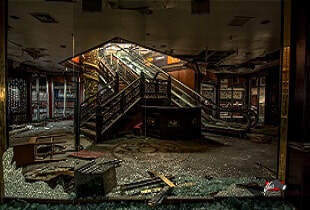 Dunn's Demo staff are guaranteed WISB, and they are further insured for all work taking place at the site. Of course we carry adequate Liability Insurance at all times. The staff of professionals at Demolition Company Toronto and CRS Construction are really talented guys; tons of experience with the knowledge needed to complete any demo job required. Our insights will provide everything you need to accomplish your demolition requirements in the safest and most cost effective way. Let us handle your home, your business, or large factory and commercial interior removal jobs; it's our scope of work done with care. 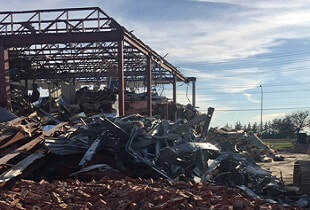 A demolition company needs to know everything regarding regional regulations, applying that knowledge to each and every project the company takes on, especially with the difficult abatement of harmful, questionable materials. Yes, our clients are ultimately responsible, so the need for you to feel assured and comfortable cannot be overstated in regards to our expertise in environmental hazards. Hazards like asbestos, lead, contaminated and moldy materials etc., so we welcome scrutiny and ensure all aspects of a job are in order. We guarantee the proper removal, disposal and recycling of all materials we affect.